NB-IoT Wireless data link provide stable data stream. Analog Input support 0~10 V / 4~20mA / ADC. 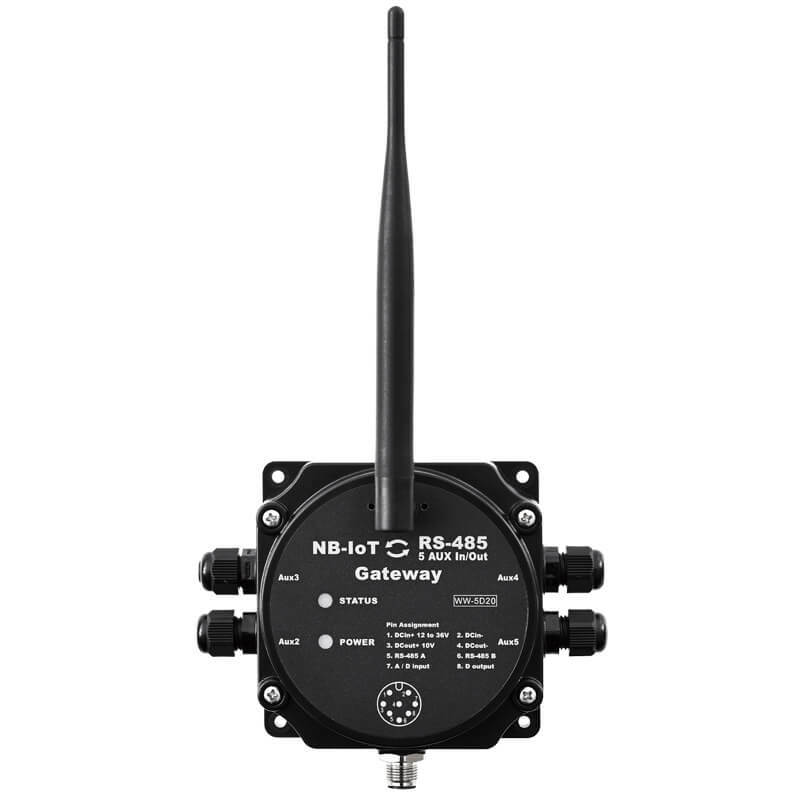 WW-5D20 is a Narrowband IoT (NB-IoT) to RS-485 outdoor wireless gateway. WW-5D20 provides the RS-485 MODBUS RTU industrial interface that connects to the existing industrial control host (ex. PLC). Up to 5 Ports Analog inputs and digital inputs/outputs support external sensors to connect and trigger external devices. Supply 5 independent 10V DC/50mA output power for use in external subunits, it is ideal for multiple sets of equipment in the Industrial IoT.